Charging time for the lithium battery inside using the adaptor: 3-4 hours advanced charge management of li-ion cell inside the solar charger to insure the safety of charging . 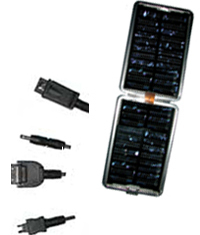 You can charge in the sun or use our supplied adaptor to charge the li-lion cell inside . Five major brand mobile phone adaptor such as Nokia, Sony Ericsson,Samsung,Siemens, and Motorola are provided for one set charger . if it can't match your mobile phone ,please buy at local agent or markets . 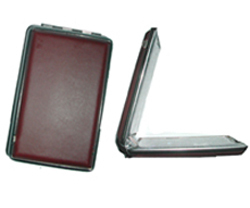 Also can supply power to other digital devices , for example : Digital camera ,PDA ,MP3 and so on.